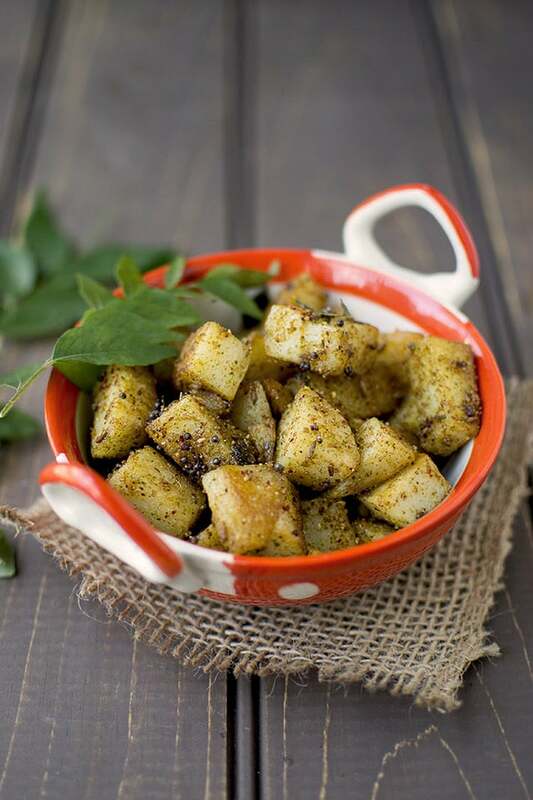 Recipe to make South Indian style stir fry with potatoes and curry leaf spice powder. 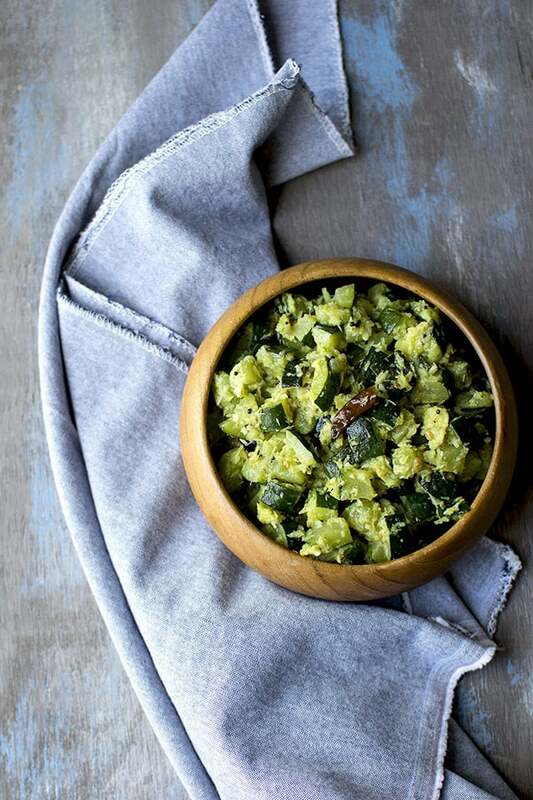 Serve it with rice and dal or with rotis for a delicious meal. 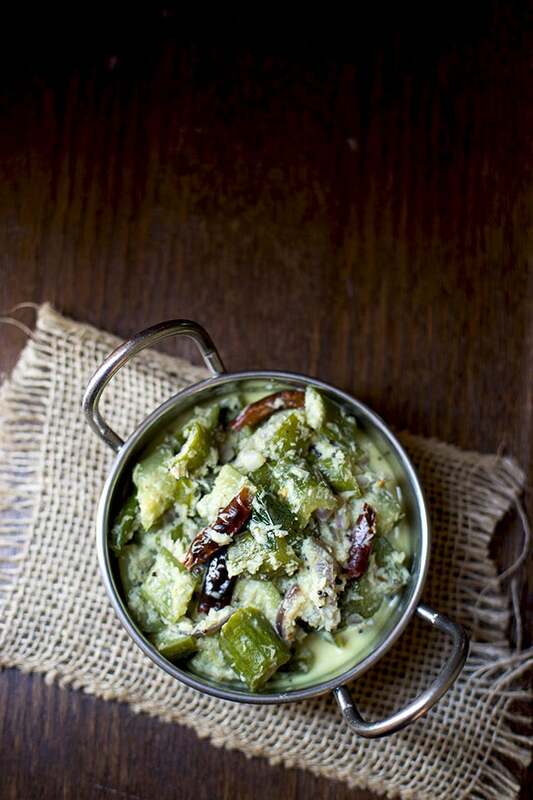 Pepper/ Capsicum poriyal is a spicy and delicious side dish made with freshly made poriyal powder. 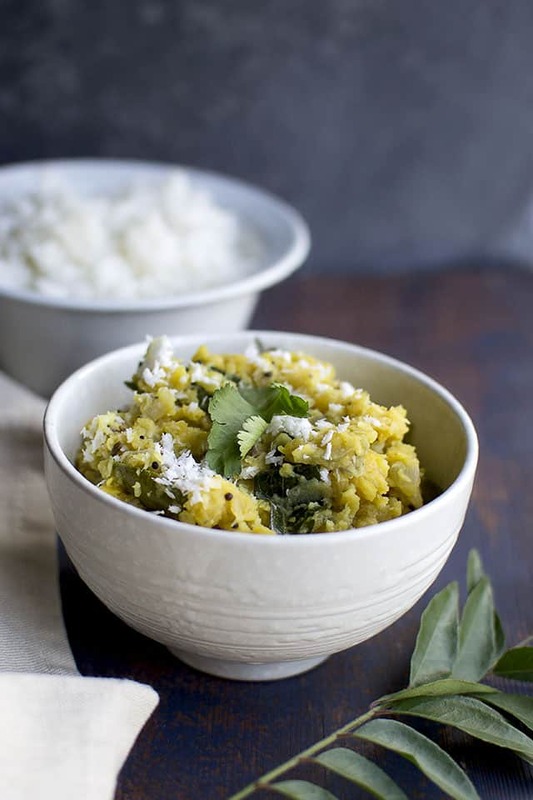 It’s perfect to serve with some steamed rice and dal. 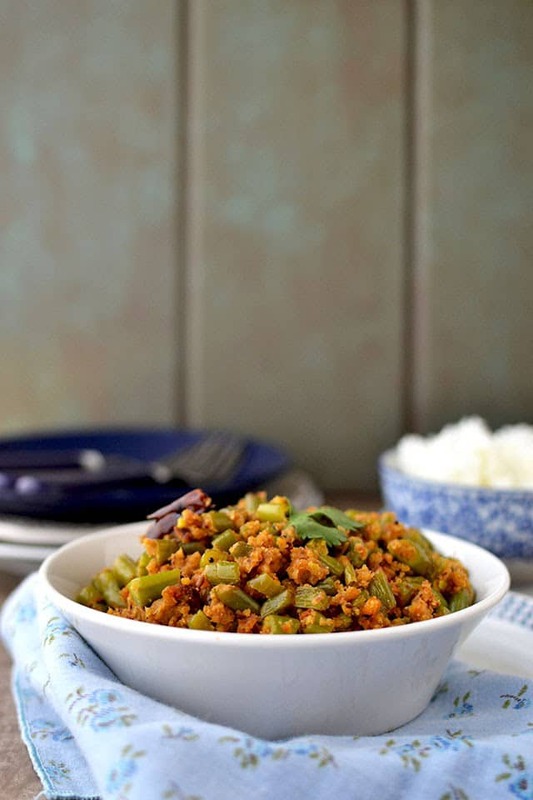 Dry Green bean curry with a spice paste. 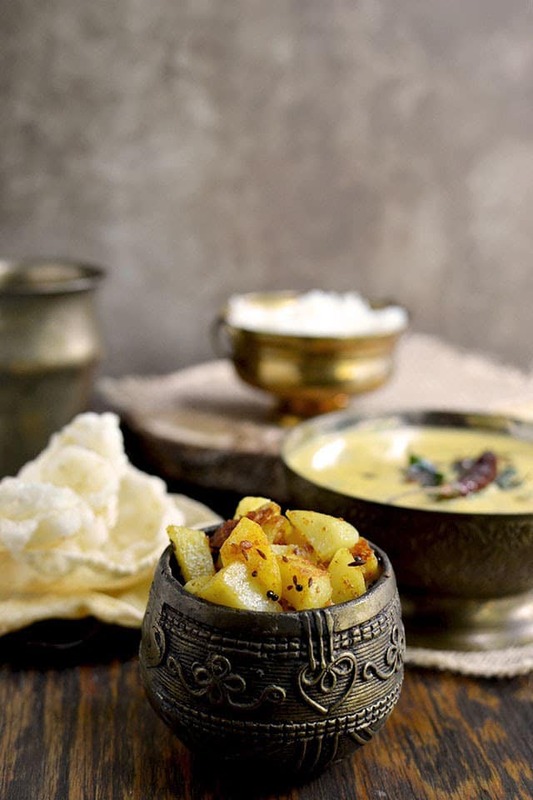 Serve with steamed rice and dal for a complete meal. The same spice paste can be used with cluster beans (guvar, goru chikkudukaya) or green peppers. Tastes great with mor kuzhambu and Mysore rasam. Dhaba Style Aloo-Gobhi aka Potato-Cauliflower curry. 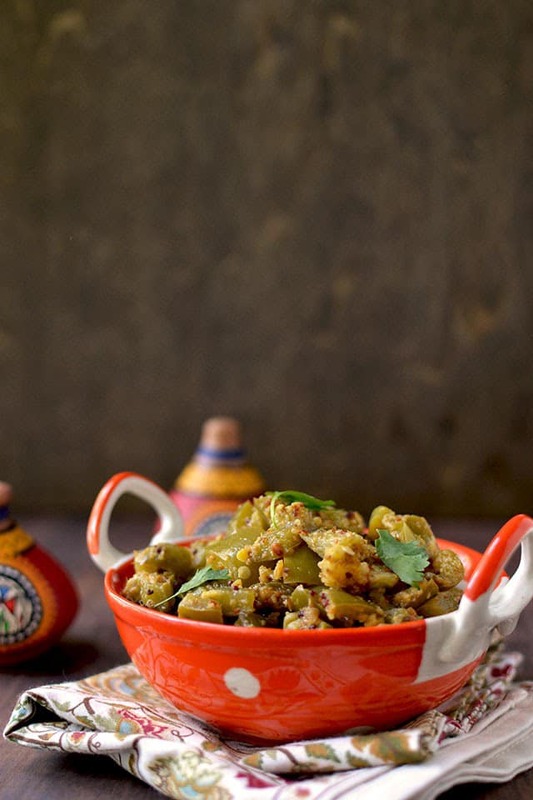 It is spicy and absolutely delicious with roti or rice. 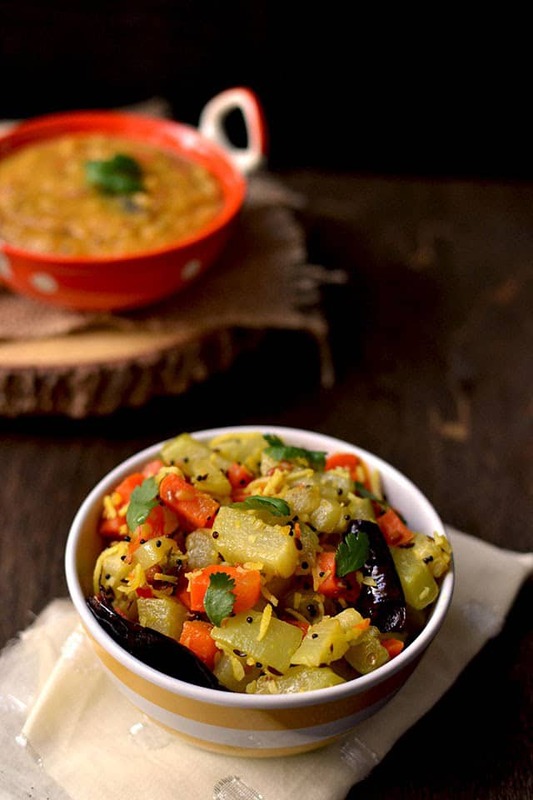 A very simple potato curry and is kids favorite. 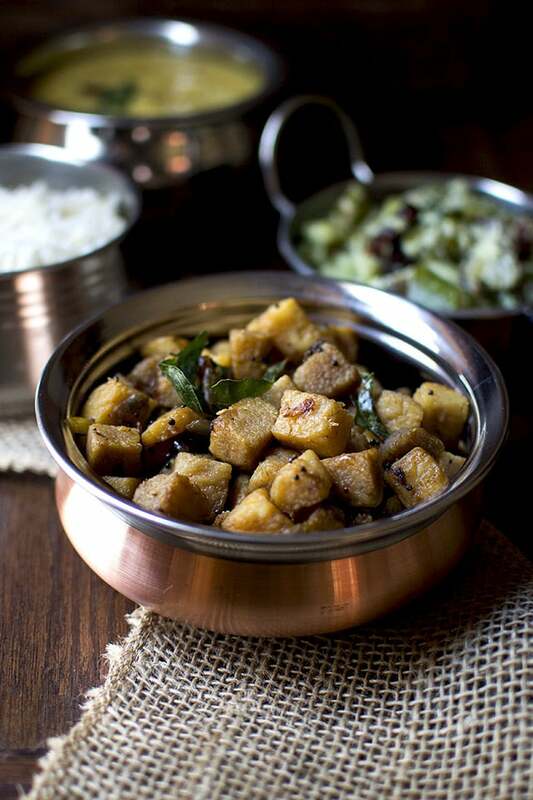 It tastes great as is, but tastes even better with mor kuzhambu.